It has been a VERY wet winter in wellington. I live in a small cave in the hills of Mount Cook and have recently found out that the rain has been flooding my bedroom for quite sometime. I wish I felt the same way about having the rain in my bedroom as Mr. Jeremy feels about the pond in his larder, but unfortunately i do not and neither does my bronchitis. Still... there's nothing like a little inspiration. 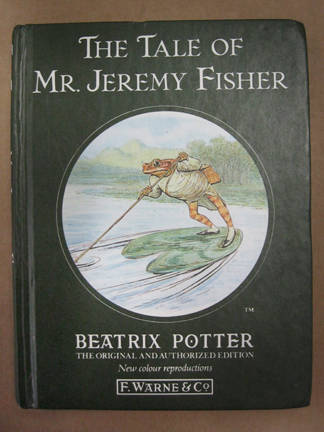 "Once upon a time there was a frog called Mr. Jeremy Fisher; he lived in a little damp house amongst the buttercups at the edge of the pond. The water was all slippy-sloppy in the larder and in the back passage. But Mr. Jeremy liked getting his feet wet; nobody ever scolded him, and he never caught a cold!"